It seems California is always in a state of flux where snowpack and drought are concerned. 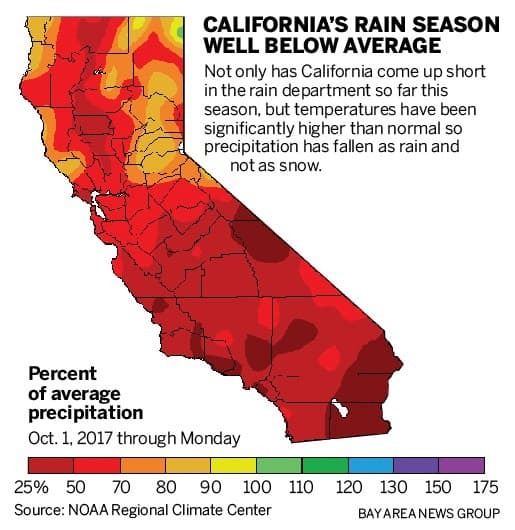 In April of last year governor Brown declared the state’s emergency drought conditions were over. Five years of harsh winters took a toll on California and we all worked through it together. You began to notice in little ways at first. Residents started flushing their toilets less. Restaurants stopped giving out the customary glass of water with meals. As things progressed, it went further. Lawns, once green and thriving, were replaced with cactus roots or synthetic grass lawns. Then 2017 came in like a lion. Torrential rainfall created mudslides in Montecito. By all accounts it seemed like the drought was indeed, history. Don’t breathe easy though. Recent environmental indicators point toward dangerous drought conditions again. Remember, the governor did say we would need to remain conservationists at heart in order for our state’s water supply to remain healthy. So what happened? Why are we so close to drought conditions after such recent generous rainfall amounts? The answer is hidden in one word, snowpack. As it happens, last year’s rainfall amounts were much lower than the previous year. To put it in perspective, since October, the Sierra Nevada Mountains have received 20 inches of rain. This is only 70% of what we would normally expect. 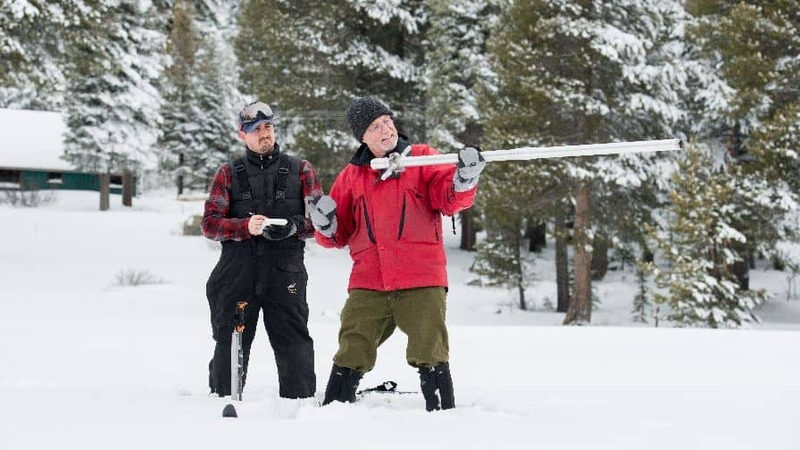 Snowpack measurements are worse. Recent state data found the amount of water held in snow was only 27% of normal the amount commonly expected during this time of year. A sample taken this month found just 13.6 inches of snow on the ground, containing only 2.6 inches of water, or 14% of the usual amount during this time of year. This is still better than last year, when it was declared snowpack yield was 5% of normal. Yet, there is a correlation between snowpack and drought. Let’s explore further. So why is this still alarming? Snowpack plays a key role in filling the states water reservoirs. As the snow melts, it runs down the mountainside and fills them. Every 30 inches of melted snowpack equals 12 inches of usable water. As much as ⅓ of the state’s water supply comes from melted snowpack. To be at 30% of normal in the winter is cause for concern. That’s good news. If reservoir supplies begin to dwindle, California could see a reinstatement of emergency drought rules and regulations concerning water use. The best thing for us to do is take the current condition seriously. After all, snowpack is not something the state of California takes lightly. It is measured constantly. There are several snow pillow stations throughout the Sierra Nevadas under continuous electronic surveillance. In addition, there are several stations where manual readings are taken and compared against the electronic readings of other stations to give an accurate snapshot of snowpack levels. This is why there is such a direct correlation between low snowpack and drought conditions. If winter gets wetter, things could be looking up. If not, we will need to cut back our water use significantly to make sure the environment remains as stable as possible until rail and more favorable weather conditions can improve the situation. In the meantime, there are many thing you can do to conserve water to lower the impact of low snowpack and drought conditions that occur as a result. You probably do a lot of those already. However, there is one thing that makes a definitive impact on the environment and eliminates certain pesky chores. Consider an synthetic grass lawn in place of your traditional one. With snowpack levels at an all time low, the likelihood for drought restricted water usage to return is high. Synthetic grass lawns require no watering (even better than using drip irrigation to water your lawn), are extremely durable, and stay green year round. Plus, when it rains, water serves to replenish the water table. This is helpful because much of the water that falls on the ground is sucked up through roots. Synthetic grass allows the groundwater to use rainfall to its full potential. Second, kiss lawn maintenance goodbye. Sell your lawnmower and enjoy sitting on your front porch watching your neighbor mow their lawn. The best part? After a few years, your lawn is truly free. All you have to do is occasionally spray it off with a water hose to remove dirt and debris. Synthetic grass lawns are one of the best products you can use to positively impact the environment. California will be on edge for a while until snowpack conditions and rainfall return to normal levels. Taking steps toward preventative maintenance now will make some of the emergency drought water regulations a non-issue for you. If you have been thinking of switching to a synthetic grass lawn, contact us today. 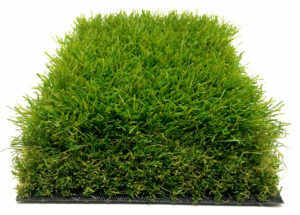 NewGrass has an impressive array of the industries best, most realistic looking products. Our installers are some of the most experienced in the field and we have a 15 year warranty that we stand behind as a company. We will help you transform your lawn space into a lush, green landscape that will be just as lush and durable fifteen years later. Our grass does not fade, does not grow and will not attract bugs or other yard pests. You can rest assured your lawn will weather the test of time, regardless of snowpack conditions. Don’t let your lawn fall victim to the weather. Make it weatherproof with NewGrass. It’s smart move, and one you can feel good about. Not only are you creating a work of art, you are preserving the environment for years to come. If enough residents switch to synthetic grass, we can move the needle on the issue of snowpack, even when levels were sub par. Together we can ensure the Sierras continue to provide sustenance to the entire state. Reach out today and let’s have a conversation about your lawn.